In celebration of the school’s 120th anniversary, the Berkeley Institute Anniversary Celebration Committee is shining a spotlight on its alumni, with the eighth profile highlighting Juan Philip Wolffe, Class of 1982, Gold House. As a young black boy who was born and raised in the “back-of-town” area, being a Berkeleyite instilled in me a deep pride and confidence that I could academically and otherwise compete against those who may have been more financially secure than I.
I have many fond memories, but the rivalry between gold house and green house on every sports day stands out. Also, the Prom and Cotillion at Southampton Princess was quite memorable with the young ladies in their flowing white gowns and the young gentlemen in their white tuxedo jackets [Dame Jennifer Smith choreographed the Cotillion and we waltzed to the song “Chariots of Fire”]. The fact that many of the students who attended were just like me: working class and in single parent families, but academically gifted. It was an environment with highly qualified teachers who genuinely cared about the academic achievements of their students. To me “Respice Finem” means that one should never be completely satisfied with where they are in life, and that one should never cease striving to be a better person [whether in one’s personal or one’s professional life]. Take full advantage of all of the opportunities that are being offered at The Berkeley. In my profession I see on a daily basis those who, for some reason or another, did not deem education to be important but who now find themselves embroiled in unfortunate situations that they may not have been in had they taken their education seriously. 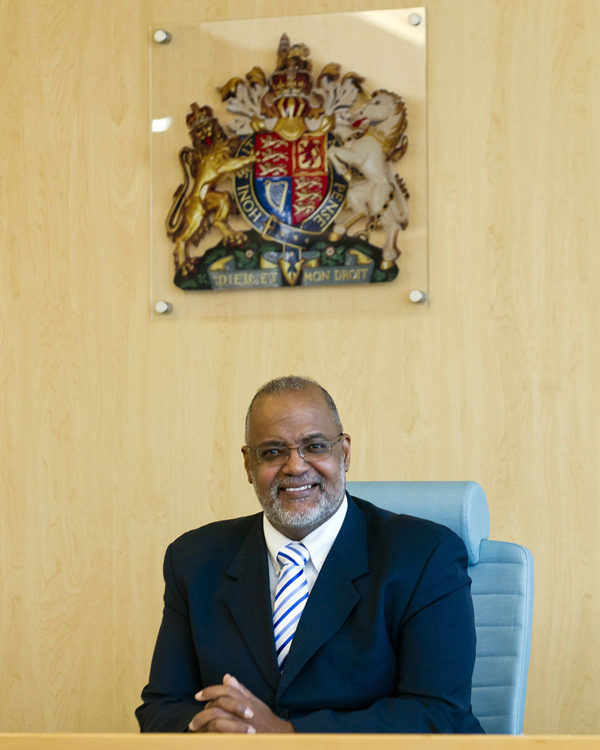 I am the Senior Magistrate of Bermuda. The solid educational and social foundation that was constructed at The Berkeley fully prepared me for Bermuda College, University, and my professional designations. My family went to The Berkeley, and it also provided the best academic environment in Bermuda. So there were no other viable options. Too many to name [besides, I do not want to offend anyone]. Teachers that come to mind though: Robert Horton and Stanfield Smith. Most of my teachers were passionate about the subjects they taught and they instilled in me the discipline and commitment to learn. By setting a positive and exemplary example for others to follow and by playing a significant role in the political, business, social, or medical fields of Bermuda. Educate yourself academically but also be cognizant of the rights and suffering of others.